Our doctors takes the time to explain the results of your eye exam, describe your options and listen to your eye care needs. Because maintaining good eye health is an ongoing partnership, we encourage you to ask questions and share your health information, which could be vital to monitoring, diagnosing and treating potential vision problems. Dr. Thorsland grew up in western Minnesota in a small, community-minded town of 300 people. He graduated from a liberal arts school in Moorhead, MN. He found his way to optometry because he likes working with people and figuring out answers to the questions patients come in with. “I love using science to solve problems!”, he says. Dr. Thorsland went on to receive his degree in optometry from Pacific University College of Optometry. 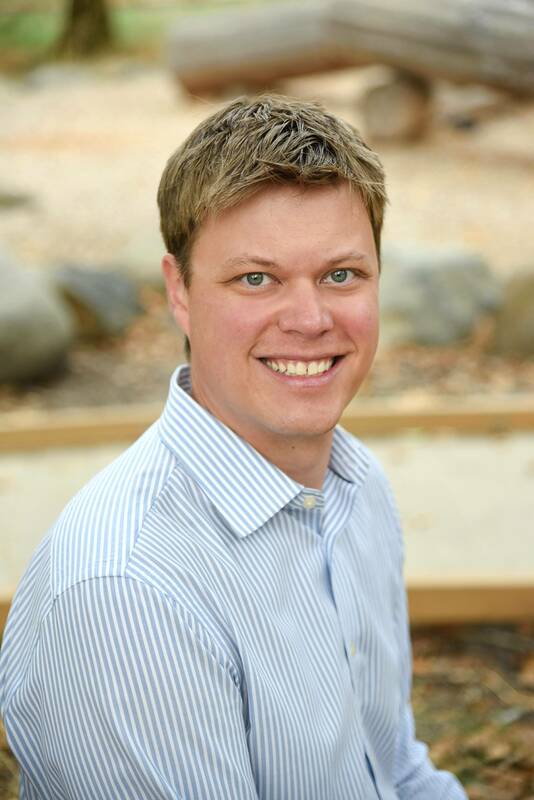 Before his days at EyeStyles, Dr. Thorsland was the clinical director, staff optometrist, and area director of optometry for the West Coast with Lasik Plus. He opened EyeStyles at Bridgeport in 2009 and a second small practice, EyeStyles at Woodstock in 2011. He has been working as an Adjunct Assistant Clinical Professor of Optometry at Pacific University College since 2008. Dr. Thorsland likes a challenge and working with a diverse array of patients from kids to cataracts. He believes the best eye care is that in which the patient works with the optometrist to create a plan that honors the patient’s preferred method of treatment. He believes an eye exam should not be an “in and out” experience. He also makes sure to check each patient’s prism in depth to see what care is needed. Dr. Thorsland lives in SW Portland with his wife, two daughters, and their dog. He enjoys traveling with his wife, visiting family in MN and Southern Oregon, playing almost any sport, and gardening. A lifelong resident of the Pacific Northwest, Dr. Ardiss grew up in Eastern Washington and moved to Oregon for college where she has lived ever since. She received both her Bachelor of Science and Doctor of Optometry degrees from Pacific University. With over 20 years experience in primary care optometry, she enjoys working in a private practice setting where every patient is given the time and attention needed to provide the best care. When not working, she enjoys cooking, gardening, reading and volunteering at the local library.